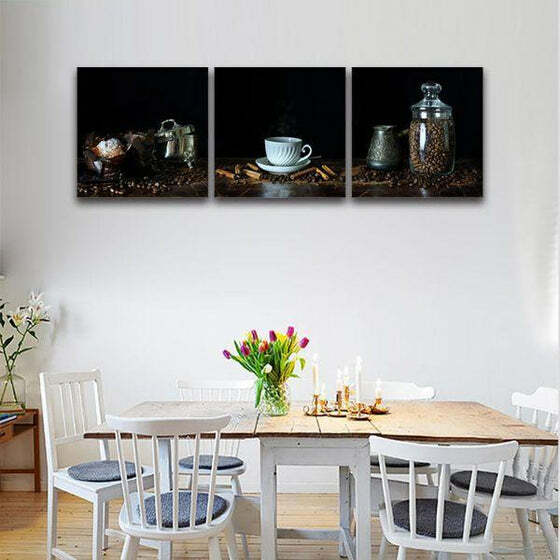 Bask in a revitalizing view of the A Cup Of Hot Coffee 3 Panels Canvas Art. 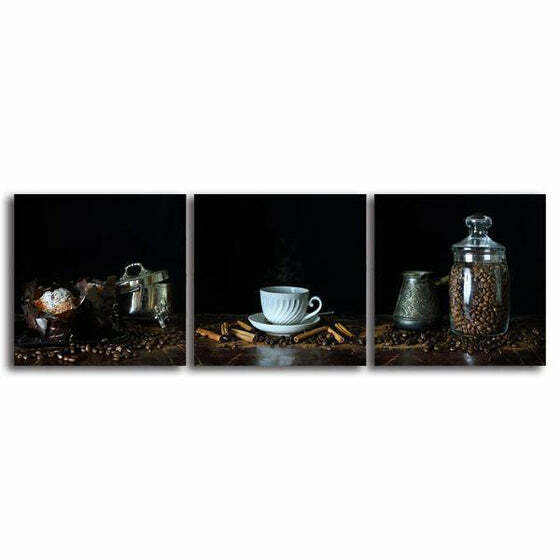 Packed with beans and cinnamon sticks around a single vessel of espresso and a jar full of roasted caffeine seeds, this kitchen-themed canvas print will definitely entice everybody to make their own brews every now and then. 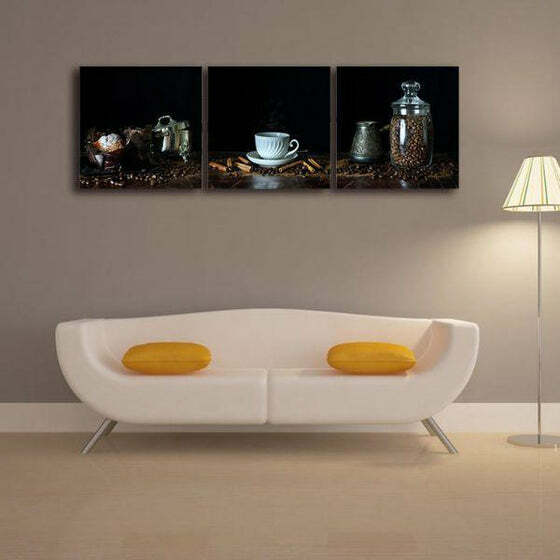 Decorate this drink-inspired wall decor to experience an ambiance of great relaxation right to your home! 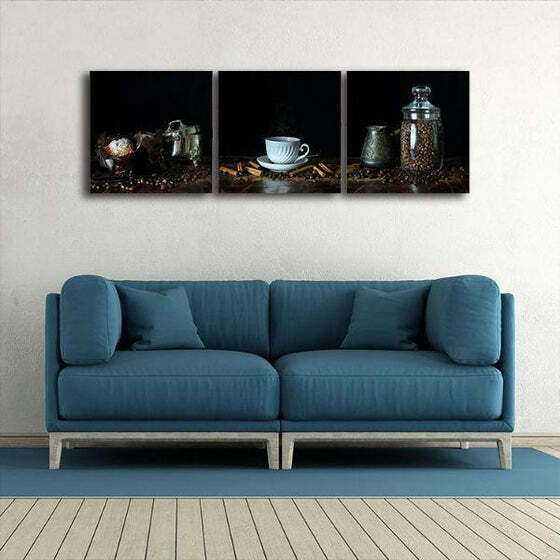 Order your canvas wall art set today to enjoy up to a 50% discount and FREE SHIPPING WORLDWIDE! Hurry! 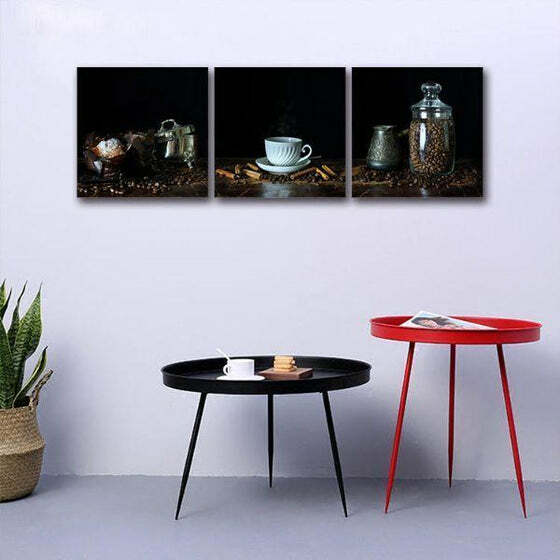 Strong panels and high def prints! so satisfied with all of its features! 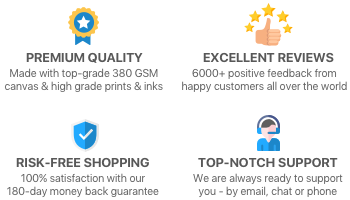 Totally different from other shopping online! Love the free delivery!